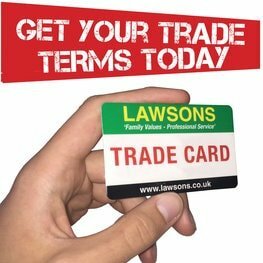 Lawsons are the largest independent timber, building & fencing merchants in London and the South East of England. Established in 1921 Lawsons now have a number of branches offering the complete range of building materials. If you want to make money and keep your business running, it’s important that you build your brand and keep the clients rolling in. But what will influence people to hire you as opposed to other tradesmen? What actions can you take to give your business the boost it deserves? We’re here to answer your questions and give you some useful tips to help you build your brand. As a trade business owner, it’s important that you know your legal obligations. Although this can be a time consuming task, it’s worth it if you want to stay on the right side of the law. To make things a little easier for you, we have put together a little list of some major legalities you should consider. With Christmas just around the corner, you might be looking for some inspiration on what to buy for a tradesman. We’re here to help, and have an extensive variety of options to choose from, so get your wrapping paper ready! Temperatures can drop to below freezing during the winter months so it is always best to do what we can to prepare and to stay warm. The winter season can be particularly uncomfortable for those that work outside on site such as builders or landscapers. With this in mind we have collated 4 top tips to keep warm on site this winter. There’s nothing better than homemade pizza, especially in a real wood-burning oven. It’s actually a lot easier to make than you think, so take a look at the instructions below so you can enjoy authentic, homemade pizza all through this summer. Should I Use MDF or Plywood? MDF and plywood are both affordable and strong timber sheet materials that are popular among builders, gardeners, DIYers, and crafters alike. The cost and versatility of these materials means that you can use them for practically everything, but it’s important to know the strengths and limitations of your materials. We’ve put together a quick guide to help you choose between plywood and MDF for your project to get the best outcome. There’s been a lot of nervousness about Brexit in the construction industry, and across a lot of industries in general, but a few months after the referendum we can start to feel more confident about our prospects looking forwards. Whatever your views on June’s Brexit vote, there’s no denying that it has had an economic impact on the UK. While many of the initial changes were due to panic (like the stock markets dropping and then regaining all their lost capital just 3 days later), other slowdowns seem like they will take longer to resolve. Brick matching is an essential service, especially if you are building an extension onto an existing home. Experts such as Lawsons’ brick matchers will help you find the right colour and texture of brick to ensure that the addition blends in with the original structure.